Do you need an internationally recognized online Six Sigma Black Belt training and certification program that you can complete at your own pace? 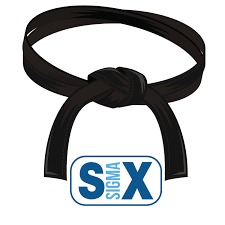 Global Six Sigma can help you enhance your marketability and improve your chances of advancement with an affordable and convenient online Six Sigma Black Belt training and certification program. The only prerequisite is a basic understanding of Microsoft Office products, such as Word, Excel, and PowerPoint. Six Sigma Black Belt training and certification is possible no matter how busy your schedule is with our self-paced online option that was designed after our traditional classroom courses. The training allows you to log-on and complete modules at your pace with one year to complete the material. One of our Master Black Belts provides a recorded lecture that accompanies a slide show presentation that includes the history, philosophies, techniques and tools of Lean and Six Sigma. Our program is designed for adult learners and uses common language for a thorough understanding by those in attendance. Unlike other online programs available, you have the ability to add project certification. This requires the completion of a live project and includes mentoring from one of our certified Master Black Belts with real world experience. Upon successful completion of the training and your required project, you will receive an internationally recognized Six Sigma Black Belt certification. $1495 for the Minitab 18 version, which teaches the methodology of Six Sigma, as well as the global standard statistical software used for project analysis. You may add project certification for an additional $500, so you can receive an internationally recognized Black Belt certification which signifies that you are qualified to lead a team on Black Belt level projects. Interested in getting a refresher course or just want a quick overview of Six Sigma? We do offer individual classes for purchase, so you don’t have to buy the whole program! Get access to one or several modules at a time. View our catalog for more information.